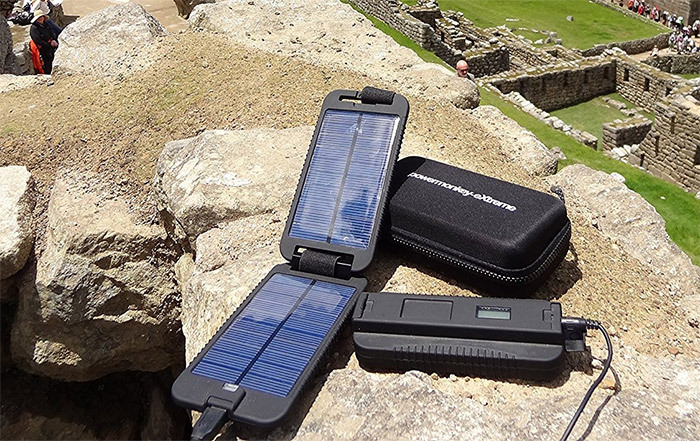 The Powertraveller Powermonkey Extreme 5V and 12V Solar Portable Charger is designed specifically for outdoors people who want to recharge 5V and 12V devices in an outdoor environment. Using a monster 9000mAh capacity Lithium Polymer battery the charger can recharge an iPhone up to 4 times, a Garmin Edge 800 up to 6 times, standard mobiles up to 8 times and an iPad up to 2 times; it can recharge SLR camera batteries, portable DVD players, headlamps and handheld action cameras. It can charge one 5V device and one 12V device at the same time. The Powermonkey is itself rechargeable in three ways: universal AC mains charger, solar, and USB. Fully charging the Powermonkey viva solar takes 18-to-22 hours in full light conditions. In an outdoors environment a velcro strap attaches the solar panel to a tent or a backpack exposed to the sun. 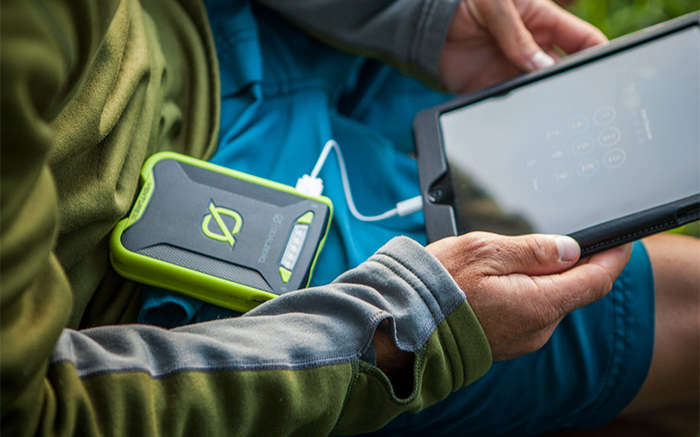 As an example of a digital age, always connected, outdoor experience, a user could attach the solar panel to his backpack and solar recharge his Powermonkey Extreme while at the same time the Powermonkey is charging his iPhone while he is hiking the Pacific Coast Trail. The solar panel is designed tough to take the knocks and spills that are part of the outdoor environment. It has an IP67 reading, meaning that it is waterproof for up to 30 minutes in 1 meter of water. The Powermonkey comes with a durable zipped travel case. RELATED: The aqua strap is a Powermonkey accessory that keeps it watertight while it is charging devices. 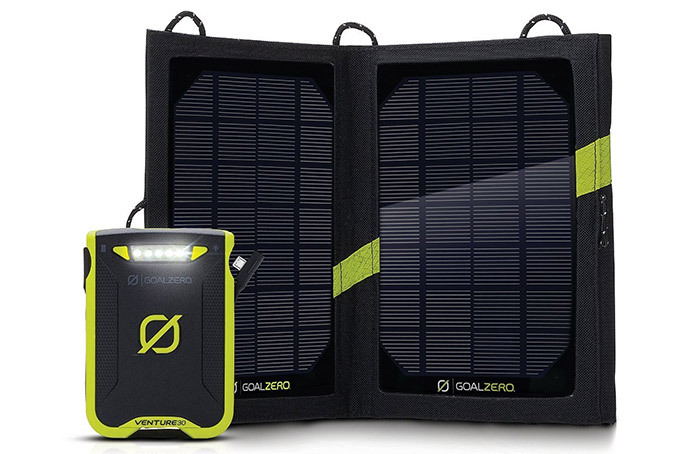 The Goal Zero Venture 30 Solar Recharging Kit is a rugged, weatherproof charger for phones, tablets and other USB chargeable devices including cameras and headlamps. Charge in 4 hours from USB or 9 hours in full sun. Two USB ports allow you to charge two devices at once. The Anker 15W Dual USB Solar Charger provides unlimited, free power to charge USB devices including phones, tablets, cameras, and headlamps. 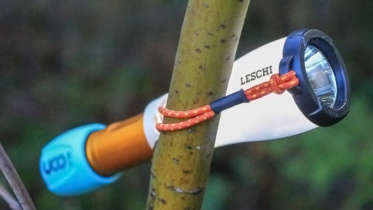 Elastic loops on each corner make it easy to attach to your tent or backpack. It can charge two devices simultaneously. The charger measures 11” x 6.3” folded and 18.1” x 11” open and weighs 12.5 ounces. Only 0.7 inches thick when folded it fits conveniently into a backpack or day pack. 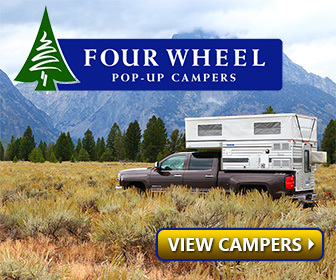 The polyester canvas cover can withstand the bumps and abrasions of the outdoor environment. Use the Mercury 10M Solar Panel to directly charge mobile phones, tablets cameras, headlamps and other USB devices, or charge the included battery pack and charge devices later. You can charge up to 2 devices at the same time. 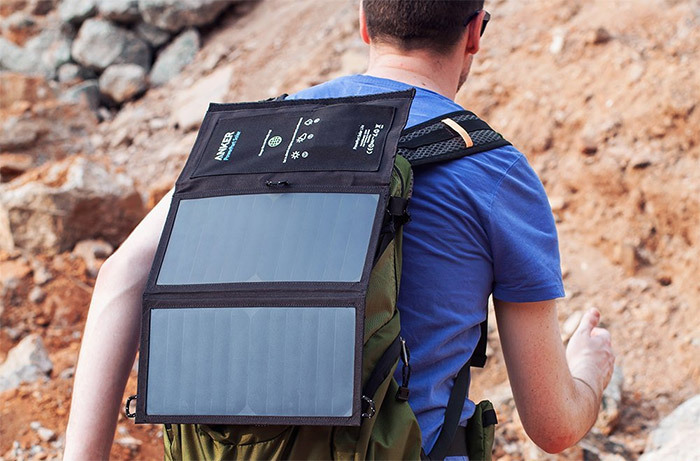 9 x 6 x 2 inches folded and weighing just 16 ounces (not including the battery) the Instapark Mercury 10 Solar Panel fits conveniently into a backpack, messenger bag or purse. It has 3 solar panels that fold up to the size of a thin book. 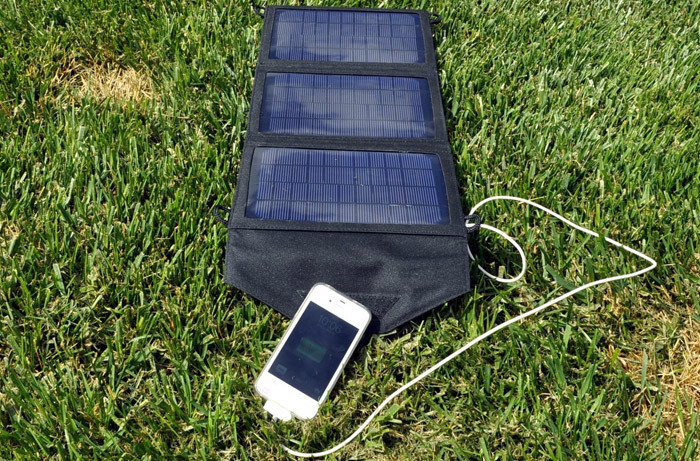 Be the first to comment on "Backpacking Solar Charger Options for Smartphones and other USB Devices"